Our second podcast is now live and in this one we talk about different types of passive income. There are a lot of different ways to make passive income online but these are the ones we focus on. 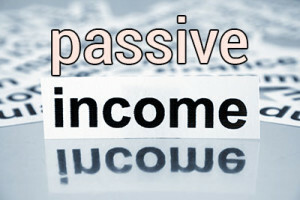 Passive income is to me, the ultimate way to make money. You do the work once and you can potentially make money forever. This is even better when it is all done on autopilot where someone buys your product and the product is sent to them digitally. The other benefit of passive income is that the sky is the limit in the amount of income you can potentially make. In a 9 to 5 job, you work a set number of hours and are pretty much limited to a set weekly wage. With passive income, there is no set income. One product can literally make you millions. Glad you’re back to share information, etc. I still refer to your affiliate information regularly when I am building a new site. Just wanted to share a thought: While I like your podcasts, I’d love to see a link posted to a transcript of the podcasts – I’m more of a reader, and I like to print out some things to use as reference materials. While I like the idea of providing a transcript, to do so would entail a lot of work, and we just don’t have the time at this point. But I think in future, a more detailed synopsis of each podcast would be a lot more helpful. How exactly do u make$ from you tube? Is it from the advertisting? 1. Advertising – When people watch the pre-roll ad that appears before the video, you get paid a commission. 2. Paid Subscriptions – You can charge for premium video content. 3. You can promote products – These can be either your own products or someone else’s product where you receive a commission. It is also a great way of getting traffic to your site. I haven’t been running online business for awhile and I was with your amazon book in the past. Since I saw you’ve switched your attention (instead of focusing on amazon), I wonder if it’s still worth it to build authority sites? Because most of my friends has jumped into the FBA stuffs, they get massive return in 40 days, vs building authority blogs/sites for 12 months with the same return. I’m currently in a cross road and no idea which way should I go. Could you kindly advise? Thanks in advance and good luck with your latest projects! There are so many different ways to make money online so you don’t have to stick to one particular type. If you have friends that are making money with FBA and they are willing to tell you how they did it, then go for it. I know I would. Your post about podcast is very captivating, i never realize what it is used for. Can be uploaded in Android phone? because am currently using one, but i not among my apps. Thank you guys for sharing this, i’ll appreciate an answer to my question. I don’t have an Android phone so not sure if you can listen to iTunes podcasts on that sort of phone. However, our podcasts also show up on Stitcher so if you see that app in the Store on your phone just download that and search for our podcast.